Popularly known as the T-Rex, the Tyrannosaurus is considered the most vicious. Remains of Edmontosaurus and Triceratops showed teeth marks from the T-Rex. The tyrannosaurus had a large skull filled with long, sharp teeth. It was also the largest known carnivore with fossils showing heights of over 3.6 meter and lengths of about 12.3m. The tyrannosaurus walked on two limbs and had strong forelimbs that could pin down large prey. 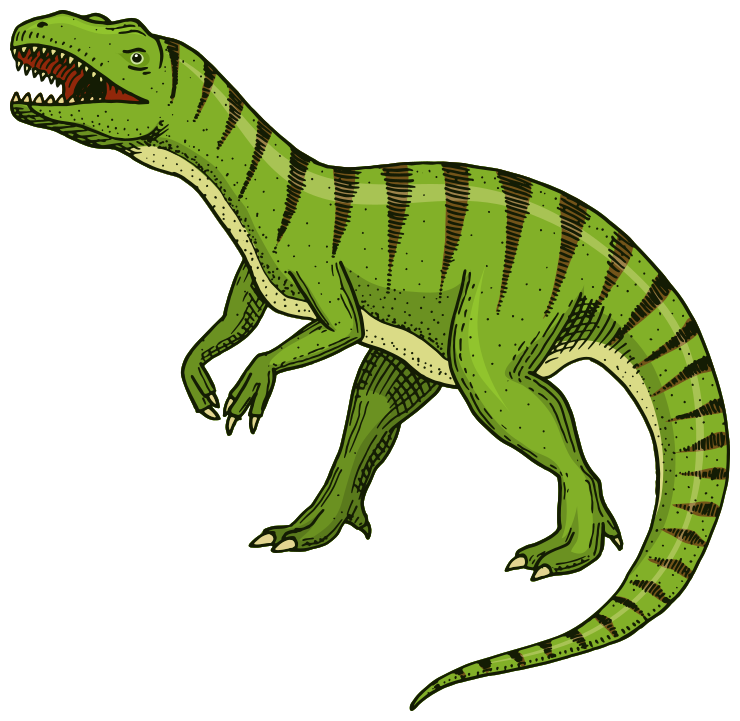 T-Rex dates back 68-66 million years ago in the Maastrichtian age. Early remains were found in the USA and Canada.